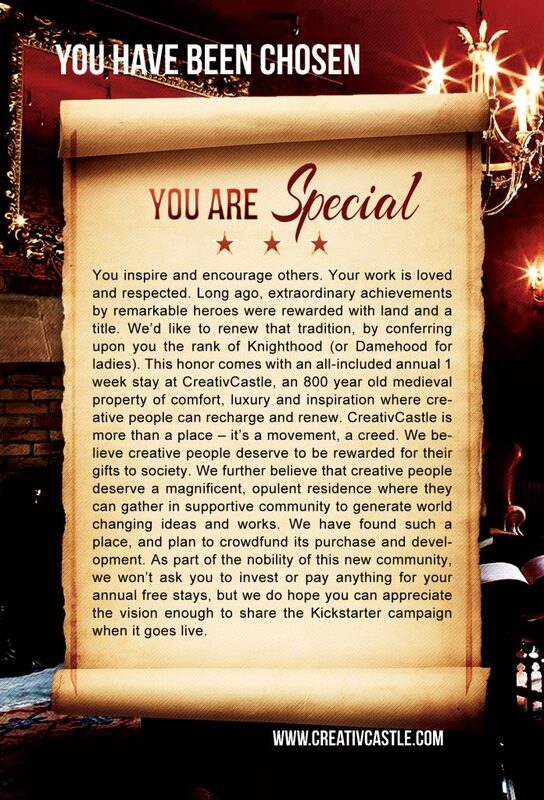 CreativCastle will be – first and foremost – a community effort. To successfully fundraise the project we’ll need the combined platforms of scores of successful authors and entrepreneurs. I need to get the movers and shakers involved. 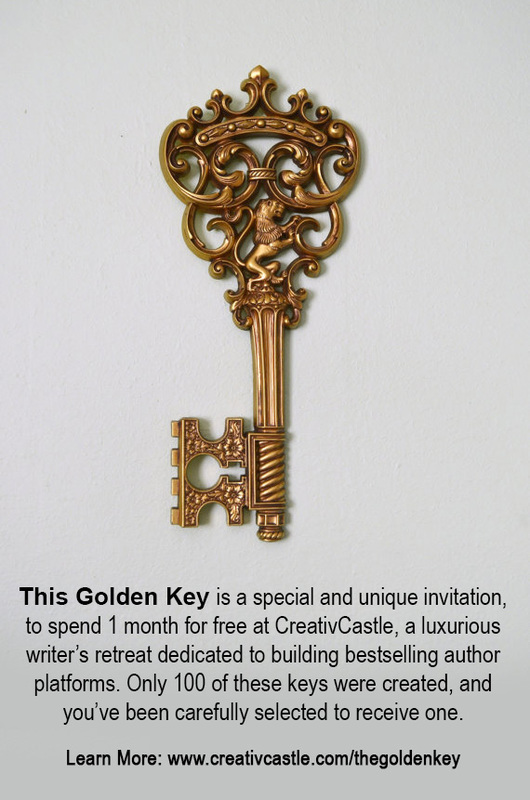 To get their support, I’ll be carefully selecting 100 potential partners – bestselling authors with large online platforms, great reputations and a loyal fanbase who I admire and would enjoy living with – and sending them a special key along with a fancy and ornate invitation. Sample invitation – the real thing will be way cooler. All will ask in return is that, when the time comes, they share my Kickstarter campaign with their audience a minimum of 3 times (a blog post, and emailing their list twice, for example). I will also offer them opportunities to add a personal touch; maybe they want to have their own exclusive month or special offer to their fanbase, and customize the schedule of events and training. Maybe they want to charge double and set up their own high value coaching program and use the castle as the setting. If that sounds like you, or you’re wondering, “Where’s MY key?” – click here.